Send a Gift Basket Today! 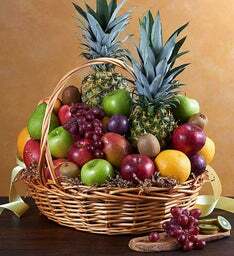 Whatever the occasion is, a fruit gift basket always sends the right message. 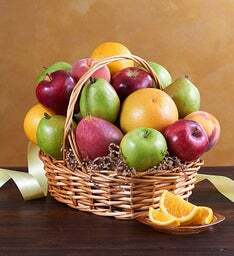 A fruit bouquet for the holidays turns any ordinary family gathering into a special occasion. 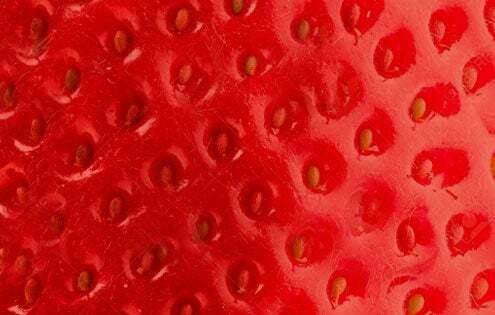 Whether it is a special someone’s birthday, attending a Sunday football gathering or you just want to put a smile on someone’s face, FruitBouquets.com is your place to shop at. 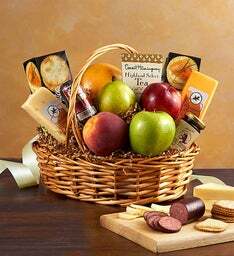 Need to send a gift basket to your office? No worries! We've got you covered with plenty of same day gift baskets to shop from, or you can shop a few weeks early on our corporate collection. Say "Thank You." to a family, friend or colleague with a unique fruit basket. 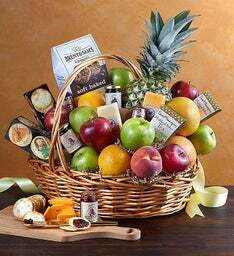 For the foodie in your life, we also offer fruit and "gourmet gift baskets" that incorporate fruit, cheese, wine and other gourmet treats. No matter what the holiday is, our "holiday gift baskets" are guaranteed to put a smile on that special someone's face.